Our mission is to build sustainable communities in Africa, where hope thrives and legacies of opportunity are created, breaking the generational cycle of poverty. 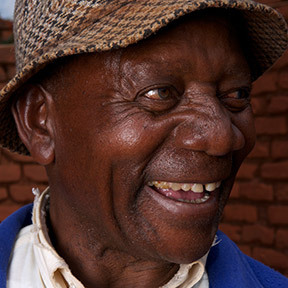 Guided by the Gospel of Jesus Christ, we provide a future of opportunity for the people of Africa by facilitating access to clean water, proper nutrition, medical care, education and training. By empowering individuals and families with the vital resources they need, they are able to make a lasting impact in their communities and change the nation as a whole. Born out of compassion, determination, and grassroots knowledge, Child Legacy International invests daily in Africa’s greatest resource: her people. It has been our experience that our friends in Africa are extremely resourceful and can multiply the gifts they receive beyond expectations. A little support goes a very long way in changing the destiny of every child in Africa. Formerly known as Life Sowing Ministries, Child Legacy International (CLI) first began operating in Zimbabwe, Africa in 1987. 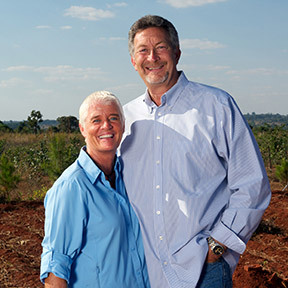 Directed and founded by husband and wife team Jeff and Karen Rogers, CLI has made great strides to bring opportunity to the people of Africa — breaking the cycle of poverty and helping people help themselves. Realizing that meeting immediate needs was not enough to make real lasting changes, Child Legacy designed, planned, and strategically delivered a new approach to humanitarian relief work — Sustainable Program Development Model. WE DON’T GIVE A HAND OUT. WE GIVE A HAND UP. Throughout our years of experience, we have seen hunger and disease stifle progress in sub-Saharan Africa. The needs are so great, but traditional aid relief (shipments of food) only brings up generations of people to rely on others for their daily bread – keeping them locked in a cycle of poverty. Child Legacy International functions to break that cycle by requiring participation from the local populations in the areas in which we work – so that the local people have ownership in the development and fortification of their own communities. As it says in Matthew 22:37 & 39, Love the Lord your God with all your heart, with all your soul, and with all your mind. Love your neighbor as yourself. Respect each other regardless of race, gender, age and religion. Because He first loved us, it is our privilege to share His unconditional love with others – renewing hearts and minds. We endeavor to exceed accepted standards in all aspects of our work as we serve an excellent Creator. Time management to CLI is a matter of respect. From our local agricultural development, healthcare clinics, and children’s homes to the applicable skills training provided at our vocational training schools, we are wholeheartedly committed to helping people help themselves. Changing relief from the “here and now” to the “now and forever” will give the people of Africa a new perspective on reliance that will impact generations to come. Become a CLI Sustaining Member!